In our previous article, we shared the detailed guide on how to care for pothos plants, and on the demand of our regular reader, in this article, you will read tips to care for Prayer Plants. It is true that you do not need to give all your time in caring for Prayer Plants but you obviously need to be persistent and methodic. Prayer Plants are from the Maranta genus; which are by nature evergreen and perennial flower plants native to the West Indies and tropical Central and South America. These plants are hugely grown as house plants because of the incredible feature of their broad, oval beautiful leaves. At the day time these leaves are undivided with the deep green stalks and lay flat, but when the dusk falls they fold themselves and stand erect. 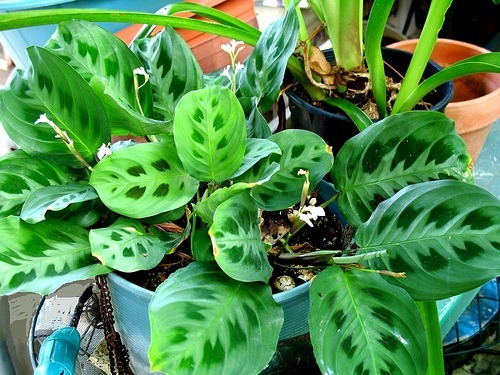 That is why they are known as the Prayer Plants though their scientific name is Maranta leuconeura. These plants are very hardy in nature and slow grower so you do not need to worry about overgrown plant wherever you plant it. But to make them grow beautiful and disciplined you need to take care of them properly. Most of the indoor plants do not need much soil. Some of them can even grow without soil like the Air plants and some can grow in water like the indoor bamboo plants. Likewise, Prayer Plants can grow in very less amount of soil. As the plants have very shallow roots, consider it to put in a pot which is not too deep. Too much soil can affect the growth of the plant. As a larger amount of soil take more time to dry than a small amount of soil. So, naturally, the unused soil will remain wet and soft for a long time which can result in rotten roots. Also before planting the Prayer Plant ensure your planter or pots has the drainage holes which are very necessary for draining the excess water. But if you have already planted it in a deep pot without holes then you must keep it out and plant it in the right planter. If your planter is deep and you have already planted the plant in a large amount of soil then probably replacing will not be a problem as the root has not touched the floor of the planter yet so you can easily dig out the soil from the bottom without worrying about hurting the roots. 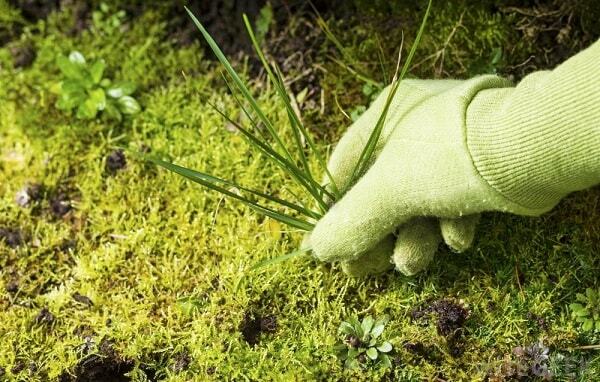 Dig out the soil gently with the plant through the help of a weeding trowel. Then remove the extra soil with the help of your hand without hurting the roots and then plant in the new planter. After planting now you have to take the right decision of placing the planter. Most of the home gardeners wish to hang the prayer plants and some of them want to place them horizontally along the table top. Both can be done adequately while keeping in mind certain measures. If you are planning to hang the pot of the plant then you should probably keep in mind that these plants are fond of indirect light than direct heat. So you must find a comparatively cool place in your house to hang them as generally near the ceilings the temperatures are high. You can try these LED Grow Lights for delivering artificial light to your indoor plants. But keeping in cool place does not mean that it will not get light. The prayer plants need sufficient indirect light and air to grow properly. Otherwise, the shape of the plant will bother you as the stems and leaves will grow spindly and long to reach for the adequate light. Prayer Plants are the native of tropical rain forest. So naturally they cannot bear scorching heat or severing cold. They are well equipped with the temperature from 65 to 75 degree F.
In colder temperatures the leaves shrink and get brown then the stalks started to die. And in extreme temperature, the leaves get darker in color as they start to burn. To understand if your plant is having temperature issues or not you can easily refer to above symptoms. You can use an air conditioner to control the temperature or a humidifier to control the humidity. 5. 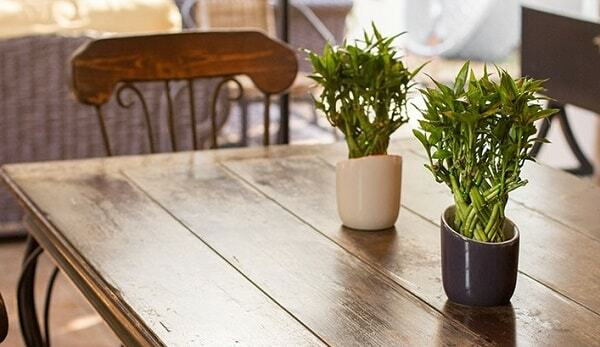 How frequently should you water your Prayer Plant? The watering depends solely on the temperature. If the temperature is hot then you need to water it thrice a week or you can keep track of the soil if it is getting dry or not. As dry soil for a longer period of time will result in shrunk leaves. Also over flooding the planter with water will keep the soil moist for a longer period of time and as a result the roots will rot and the plant will die. In hot temperatures use room temperature water for watering as cold water from the tap takes a longer time to dry unlike the room temperature water, which will dry before the evening. Also from evening the temperature level falls and the water does not get the chance to evaporate. So it stays overnight and results in the browning of leaves and premature falling. 6. Why fertilizing is necessary for Prayer Planters? As the prayer plants are so grower they need fertilization. Also to make them look beautiful and healthier applying fertilizer will be the best idea. 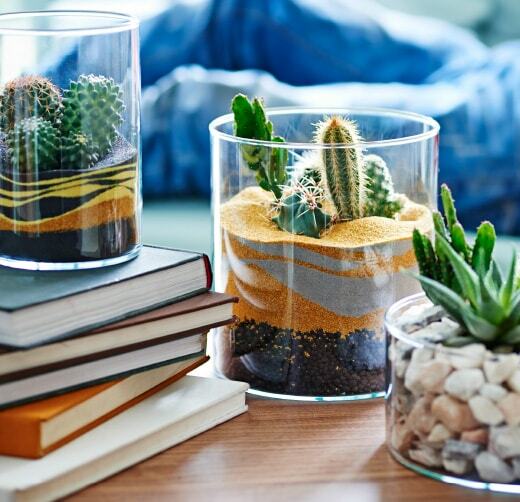 You must use the water-soluble fertilizers which are for indoor plants. Generally in case of fertilizers to make them half-strength you need to mix half teaspoon of fertilizer with a gallon of water. But you must refer to the instruction slip of the fertilizer. A balanced fertilizer is essential as too much fertilizer can burn the plant. 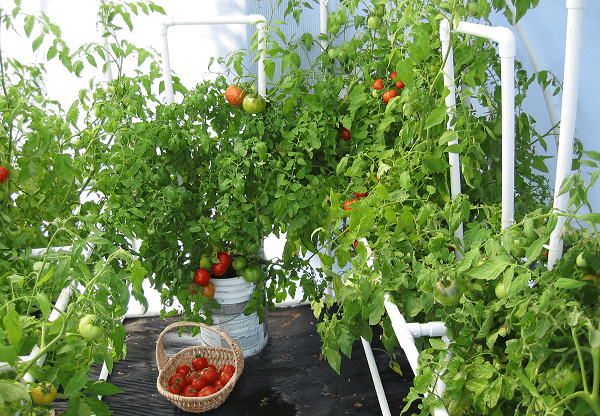 The outdoor plants are exposed to air, sun, and rains so the fertilizer can easily wash away but in the case of indoor plants, there is no chance of it. So, you must fertilize them with a gap of 2 weeks. Naturally, prayer plants take a long time to mature or to die. As they grow slow, you have to barely change the pot. But in any case the plant grows out of bounds then you can repot it. While repotting separate each of the stalks from the pot and plant them independently. This will help in their healthy growth and also maximize your inner house beauty. Once in a while, you need to trim your plant, as it will intensify the growth rate. Also if any of the leaves or stalks becomes vulnerable to any kind of insect or disease then you must consider cutting it down or separating it from the main plant. Otherwise, the affected leaves or stalks may contaminate the healthier parts. Trimming is also necessary to keep the plant beautiful and healthy. 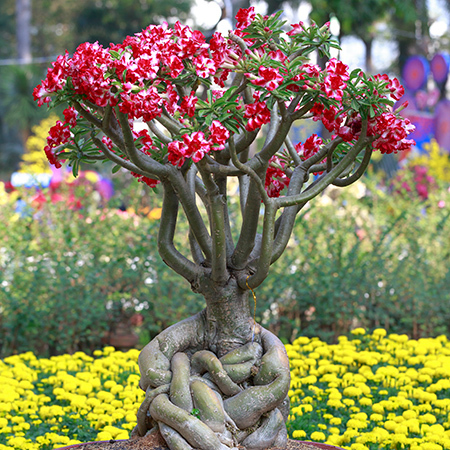 Try to trim the parts which are overgrown and while repotting you can trim the roots so that it can grow more quickly. Gardening was never easy, but by following certain measures you can easily get healthier, greener and more beautiful plants. The Prayer plants are though hardy in nature but need disciplined care. If you promise to provide it that care then the plant will also promise you back to deliver you with colorful, vibrant and healthy foliages.